After Hours at the Speed features a lot of WXOX/Artxfm.com activity this month. Liminal Form: Jake Ford & SN Parks Curated by Kevin Warth opens at Houseguest. Elmer Lucille Allen, Sandra Charles, and Barbara Tyson Mosley are speaking today about their exhibit at Carnegie Center for Art & History in New Albany. Monica Stewart: All the Better to See You With is at the U of L MFA building. Win Place ART Show is at Revelry Gallery. WIN PLACE SHOW is at Kentucky Fine Art Gallery. "Unbounded Domains" by Vian Sora at Moremen Gallery. Horsepower at Craft(s) Gallery and Mercantile. She’s Silver and Orange 4 is at Tim Faulkner Gallery. Here for Today- Works by Heather Cameron and Allie Jensen is at Art Sanctuary. A Perspective In Paint by Geoff Crowe at Kore Gallery. art[squared] Louisville's Premier Art Sale & Fundraiser for Children’s Fine Art Classes is TONIGHT! Monica Stewart: All the Better to See You With opens at the U of L MFA building. Win Place ART Show opens at Revelry Gallery. WIN PLACE SHOW opens at Kentucky Fine Art Gallery. Image and Word is at Kaviar Forge & Gallery through April 6. Elmer Lucille Allen, Sandra Charles, and Barbara Tyson Mosley are exhibiting at Carnegie Center for Art & History in New Albany. Vian Sora & John Brooks were the guests on this week's show. Both are included in LVA's exhibit at Metro Hall, "Imagined Monuments" and very busy exhibiting elsewhere in Louisville. Tune in to WXOX 97.1 FM, or stream on Artxfm.com every Thursday at 10am to hear Keith Waits talk with artists. A native of Kentucky, John Brooks studied Political Science and English literature at the College of Charleston, in South Carolina, and art at Central St. Martins and the Hampstead School of Art in London, England. His work is held in private collections in the United States, Great Britain, Australia, Germany, and India. He now lives and works in Louisville and is the director of Quappi Projects. 2019 Non-Arrivals, O Art, Louisville, Kentucky. John Brooks will have a solo show at Moremen Gallery in July 2019. Birds of Passage (Pájaros de Verano), Directed by Christina Gallego and Ciro Guerra, opens at Speed Cinema. Inaugural Rocinante Records Concert Series features Brent Mathis. and Adventure. The application period for the 2019 Hadley Prize for Visual Art is now open and there is an Information Session on how to prepare today. Dru Pilmer’s exhibit Moving Through is at Art Seed Gallery through April 5th. Duality | The New Work of Valerie Timmons is at Craft(s) Gallery & Mercantile. Years of Chaos- Issues That Are Destroying Us is at Kore Gallery, now relocated to the Hope Mills Building. Elmer Lucille Allen, Sandra Charles, and Barbara Tyson Mosley are opening an exhibit at Carnagie Center for Art & History in New Albany. 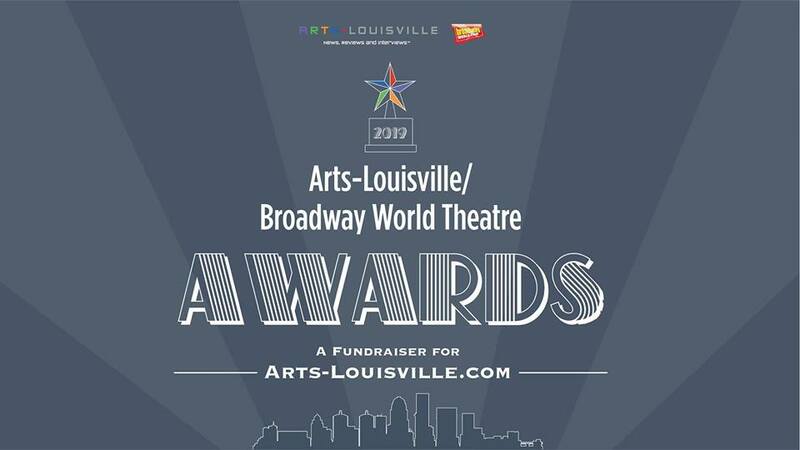 2019 Arts-Louisville/Broadway World Theatre Awards will be at The Columbia Theatre Ballroom. Shadowland an exhibition of stratographs and etchings by Anna Marie Pavlik, at Craft(s) Gallery & Mercantile. Angie Reed Garner "shantyboating" is at garner narrative. Industrial Wastelands Solo Exhibition from Dean Thomas at Tim Faulkner Gallery. Non-Arrivals: o Art Opening Reception is at Natalie O Design Co. Date Night at PAC: Black Light Art with Andrew Preston! starts at 6pm at Preston Art Center. The 7th annual Cuteopia! is happening at Revelry Boutique and Gallery. Art Sanctuary presents "Vizard of Voz" with Va Va Vixens! opens tonight. The Roast of Netflix & Chill is the latest from Character Assassination at The Bard’s Town. The Green Book Presented By Bunbury Theatre and ShPIeL opens tonight at the Henry Clay Theatre. WXOX Voix De VIlle 2019 is the 3rd Anniversary Fundraiser for WXOX 97.1 FM/Artxfm.com. Shadowland-Opening Reception an exhibition of stratographs and etchings by Anna Marie Pavlik, at Craft(s) Gallery & Mercantile. Years of Chaos- Issues That Are Destroying Us has opened at Kore Gallery, now relocated to the Hope Mills Building. WHERE WE ARE NOW - COMPOSITIONS by JODY JOHNSON with GUEST ARTISTS: VIRGINIA SPEED and RITA CAMERON is at Pyro Gallery. Currents:: Contemporary Artists Along the Banks of the Ohio is up at Swanson Contemporary. Shoplifters (Manbiki kazoku), Directed by Hirokazu Kore-eda was just nominated for the 2019 Academy Award for Best Foreign Language Film, and it opens tonight at Speed Cinema. Artist Reception featuring Dean Thomas's Band Chomsky Jazz happens tonight at Tim Faulkner Gallery. Art21 Season 9 Screening Episode: San Francisco Bay Area is at 21C tonight. Current: an exhibition of the Southern Crossings Pottery Festival at Craft(s) Gallery & Mercantile. The Carnegie Center for Art and History presents Biophilia Life; or, My Best Friend Has Four Legs and a Tail. Night At The Carnegie is happening tonight. Biophilia is still on exhibit there. The Tilted Crown Theatre Company Presents Beirut at The Bard’s Town. 2019 Fischer Award for Visual Art Presentation Ceremony will be at Portland Museum this morning. Deborah Whistler: “Follow The Rabbit” is at Moreman Gallery through January 19, 2019. Cletus Wilcox, Joshua Bleecker Suyun Son at Tim Faulkner Gallery. SewIn Qulit and Fiber Biennial is across the river in New Albany. Current: an exhibition of the Southern Crossings Pottery Festival opens at Craft(s) Gallery & Mercantile tonight with a reception 6-9pm. Industrial Wastelands Solo Exhibition from Dean Thomas opens at Tim Faulkner Gallery. Patricia Brock Photography Exhibit opens at KORE Gallery. SewIn Qulit and Fiber Biennial opens across the river in New Albany. 20th Annual Animation Show of Shows opens at The Speed Cinema and runs through December 30. Bourbon Baroque Sing & Play-a-long at Flora is a fundraiser for 90.5 WUOL Classical Louisville's Instrumental Partners program. TUESDAY December 25: A Ding Dong Dandy Christmas -Tune in to WXOX 97.1 FM for LVA’s Keith Waits’ annual Christmas morning broadcast. FRIDAY December 28: Character Assassination presents The Roast of 2018 at The Bard’s Town tonight and tomorrow night. SATURDAY December 29: Yoga Enigmatic mvt. 6 is at Art Sanctuary. Kentucky Cup: A tradition of excellence in Art is a group exhibit at The Brown Hotel Gallery. Jo Anne Triplett and Jessica Oberdick joined us Thursday to reflect upon 2018 in local visual art. Tune in to WXOX 97.1, or stream on Artxfm.com every Thursday at 10am for LVA's Artebella On the Radio. Jo Anne Triplett is a contributing arts editor at LEO Weekly. She’s a past member of the Mayor’s Advisory Committee on Public Art, was the content advisor on the Glassworks Building video, and has written for Louisville Magazine, Kentucky Homes and Gardens and the national publication Glass Craftsman. Jo Anne came to Louisville from Washington, D.C. where she worked as a researcher and writer for the Smithsonian American Art Museum. Jessica Oberdick is a visual artist, curator, and writer. In December 2017 Oberdick graduated from the University of Louisville with her dual Master of Arts and Art History in Critical and Curatorial Studies and Master of Public Administration in Nonprofit Management. She has contributed to various online platforms including Burnaway and Ruckus Louisville, and was recently published in the international magazine Boshemia. She has curated + co-curated exhibitions at 1619 Flux and KMAC Museum, both in Louisville, and currently is the Exhibitions Assistant for the Hite Institute for Visual Art at the University of Louisville. Things are light because of the upcoming Thanksgiving Holiday, and there will be no Friday Link Roundup next week. Rannygazoo will be paying at The Limbo Monday night. Radio Arcane: The Dark Market will be at Art Sanctuary. The Private World of a Fold: New Sculptures by Rebecca Norton opens at Houseguest. "What Were You Wearing?" A Survivors Art Installation is at the University of Louisville Student Activities Center. The Open Studio Weekend Juried Exhibition continues at the University of Louisville Hite Institute’s Cressman Center.